Canadian Bow Maker Michael Vann was trained in New York City in the shop of world renowned master Bow Maker William Salchow. Since embarking on his career in 1975 he has won six international and more than a dozen Canadian awards for his bows that have been acquired by such notables as Nikki Chooi, Timmy Chooi, Steven Dann, James Ehnes, Eugene Fodor, Amanda Forsyth, Pierre Fournier, Sidney Harth, Gwen Hoebig, Jessica Linnebach, Gabriel Magyar, (Hungarian String Quartet), Lena Neudauer, Regis Pasquir, Ruggiero Ricci, Pieter Schoeman, Steven Staryk, Nikolaj Znaider, Pinchas Zukerman, The Amernet String Quartet(U.S.A), The Colorado Strings Quartet (U.S.A.), The Daedalus String Quartet (U.S.A),The Franciscan String Quartet (U.S.A.), The St. Lawrence String Quartet (Canada), The Manfred String Quartet (France), The Miro String Quartet (U.S.A), The New Brunswick String Quartet (Canada), to name a few. In 2000 he was commissioned by a private foundation to make bows for the Royal House of Denmark. His bows are in use by members of symphony orchestras in Amsterdam, Chicago, Montreal, New York, Toronto, Edmonton, Calgary, Winnipeg, Vancouver, Los Angeles, Minneapolis-St.Paul, Tokyo, China, Paris, Toulouse, Nice, Taiwan, Dusseldorf, Victoria, and many others. His bows are also being sold in the U.S.A, Japan and Europe. He was commissioned to make the quartets of presentation bows for the Banff International String Quartet Competition from 1983 to 2003. He has made conductor's batons in the past for such maestros as Mario Bernardi and currently for maestro Bramwel Tovey. Michael is married to violinist / teacher Dolores Vann (Mokree/Turgeon), former concertmaster of the Vancouver Island Symphony Orchestra. 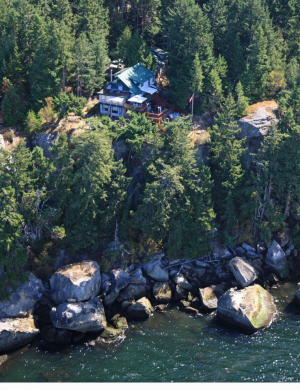 They make their home on Gabriola Island, a short ferry ride from Nanaimo, British Columbia.